Edinburgh Festivals' Head of Marketing and Innovation James McVeigh takes us through the background of how they started using Application Programming Interfaces (APIs) to provide media listings. 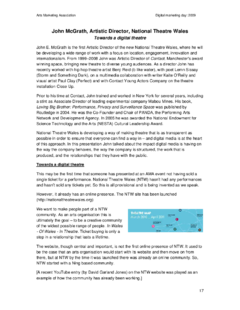 Cinegi Arts&Film was an action research project, delivered by Cinegi, that ran from January 2017 to May 2018 to test how a digital distribution service could bring filmed arts and cultural content to audiences in venues beyond mainstream cinemas. The project was supported through a grant from Arts Council England, and a partnership with the BFI. The research component was contracted to The Audience Agency and Nesta. To measure the public’s interest in new ways to access content at museums, Cuseum conducted an on-site survey. The objective of the study was to evaluate the impact that new forms of mobile technology, such as augmented reality, have on the visitor’s experience. Read the latest in the series of AMA CultureHive articles. Daniel Rowles, CEO of Target Internet talks to us about why the arts sector must take advantage of the technology available now and be ready for the digital changes ahead. Read the new AMA CultureHive article from Hannah Mason " What it means to be really digital". Originally published in Arts Professional. The UK Government has released a new report Culture is Digital: Using technology to drive audience engagement, boosting the digital capability of cultural organisations and unleashing the creative potential of technology. Penny Nagle shares some case study examples plus tips and tools to help you identify and monetise your digital assets and IP. Cherelle Cunningham shares Birmingham Museum & Art Gallery's experience of using Periscope to engage the widest possible audience. Gain tips for getting started with live streaming. This case study by Bob Harlow, published by The Wallace Foundation, explores Seattle Opera's multipronged experiment to deepen relationships and reach new audiences. Lucy Liddell shares how taking a mobile-first approach and providing an outstanding user experience has enabled The MAC, Belfast, to increase ticket sales and revenue. Miracle Theatre shares practical advice for making and distributing digital versions of theatre productions. Explore key principles to making mobile work in this collection of articles, which share learning from the Digital R&D Fund for the Arts. Learn how to get the best from your data with support from this guide, which shares learning from the Digital R&D Fund for the Arts. This report shares learning from the Digital R&D Fund for the Arts. It explores the opportunities digital presents for making the arts more accessible. This guide shares learning from the Digital R&D Fund for the arts. Find out what a Business Model is and how organisations are innovating and disrupting to ensure their models remain fresh and fit for purpose. Improve your existing digital products and services or develop new ones with support from this suite of resources, tips and articles. Explore how the Digital R&D Fund for the Arts impacted the arts and cultural sector. Explore key outcomes and learning points from the Digital R&D Fund for the Arts programme in this evaluation by Tom Fleming Creative Consultancy. Discover how focusing on the user experience enabled The Grand Theatre to increase ticket sales, visits and email subscriptions. Velo Marketing shares its top tips for building an engaged following on Instagram. Make the most from Google’s free online advertising service with this handy guide from Velo Marketing. This collection from AMA Conference 2015 explores gamification, influence and the benefits of sharing our audience databases. Implementing a brand new, mission-critical piece of software is no easy feat. This guide by Helen Gage at Spektrix suggests four things you should focus your attention on (and four things you should avoid) for a stress-free software implementation. This guide will get you to think about how to turn your own integrated strategy into a set of sensibly prioritised practical projects and services. Benefit from Jon and Dom's practical advice on generating and prioritising your own ideas. Nordiska Museet, Sweden’s museum of cultural history, has a vast collection. In 2010 they started a journey to improve the museum's communication of its collection with its visitors. The museum started a process of placing digital at its centre. This resource shares some of the successes and challenges that they faced over three years and their experiences of working with different organisations. Describes the process of creating a digital identity for British Council Arts. This resource explores the changes an organisation needs to make to be fit for purpose and to embed digital activity successfully. It also looks at a project which allowed museum visitors to make real-time comments with very little post-moderation. Discover how to create audience-focused and creative-focused digital campaigns. This resource considers a number of projects, including BBC Radio 3's strategic approach to Twitter and Tumblr, and the Royal Shakespeare Company's myShakespeare project. Discover the Google Cultural Institute, and how cultural organisations are partnering with Google to create online exhibitions. This transcript of a keynote presentation also looks at what online exhibitions could mean for audiences and arts organisations in the future. A transcript of a discussion around developing a flexible and open approach to digital marketing activity. This conversation took place as part of the Arts Marketing Association's 2012 Digital Marketing Day. A transcript of a discussion about the Google Cultural Institute, focusing on creating online exhibits and editorial around them. The panel also considers whether virtual exhibits deter visitors from attending museums in person. This AMA conference 2014 session led by Andy Hamflett brings together perspectives to explore the potential for digital giving. Andy Hamflett works with organisations from the commercial and charity sectors in both the UK and the US and in this session he highlighted current trends and shared case studies of successful digital giving from small, medium and large organisations. Bradley Manning, the young US soldier who was convicted of releasing the largest set of classified documents ever leaked to the public, spent his early years in west Wales. In 2013 the National Theatre Wales’ (NTW) production The Radicalisation of Bradley Manning, toured around Wales before appearing at the Edinburgh Fringe. Early on in the production process the decision was taken to live stream each performance, as a result over 6,500 audience members watched the Bradley Manning live stream from 1,269 cities in 103 countries. Seb Chan shares his thoughts on Cooper-Hewitt National Design Museum's shift from a zero tech to a high tech organisation and the impact it had on the organisation. JustSoFestival is an annual weekend-long camping festival for children and their families. Since the first festival in 2009, it has almost doubled in size, from a capacity of 2,600 in the first year, to a sell-out of 5,000 in 2013. With no money for advertising, the festival has grown through online and offline word-of-mouth. In this case study, Katie Moffat speaks to Rowan Hoban, co-founder of JustSoFestival, about the ways in which the organisers' online activity - website, Facebook and Twitter - has been utitlised to promote the festival. Forced Entertainment is a theatre company based in Sheffield, UK, who produces contemporary devised performances that tour worldwide. In April 2013, they performed one of their most popular pieces - Quizoola! - continuously for 24 hours at the Barbican as part of the SPILL festival. The entire piece was streamed online via a live webcast and Twitter users were encouraged to comment on the performance and ask questions to the performers using the hashtag #Quizoola24. The performance was a huge success with many audience members remaining for the entire 24 hours. In August 2013 the Museum of Modern Art (MoMA) in New York launched ‘MoMA Teens’ - teens.moma.org - a Tumblr blog that aims to introduce more teenagers to the world of MoMA. Two months after launch the blog already had 2,500 followers. The day-to-day management of the blog is undertaken by ‘teen editors’ who have built up a relationship with MoMA through its classes and courses. One of the biggest problems for any internet news organisation is how to deal with the increasing demand by users to read your content on mobile devices, and how to make the experience on mobile a useful experience. In October 2012, Random International's largest and most ambitious installation - Rain Room - opened in the Barbican's Curve gallery. A 100 square metre field of falling water, Rain Room came alive through audience interaction with the thousands of falling droplets responding to audience presence and movement. This case study describes the planning, processes and outcomes of Barbican's marketing campaign, which focused on encouraging visitors to upload their own content onto social media channels. FACT (Foundation for Art and Creative Technology) is the UK's leading media arts centre based in Liverpool. Can you hear me? I can see you! was FACT’s year-long programme working with residents of Sheltered Housing across Liverpool, Wigan and Warrington. Supported by the Baring Foundation, the programme set out to build the digital literacy of the older people aged 55 to 95 through creative engagement with artists and resulted in an exhibition of prototype communication devices that were developed with the residents. Oxford Playhouse presents and produces a wide range of live performances including tours of its own shows under the banner of Playhouse Plays Out (PPO), an on-going series of off-site productions and events which happen at surprising and unusual locations across the county. This case study describes how digital, guerilla and viral marketing techniques were used to promote the PPO production of Bicycle Boy. Aimed at 5-to-8-year-olds, Bicycle Boy ran for 12 performances in May 2013 in a specially converted garage just half a mile from Oxford Playhouse. The Royal Shakespeare Company (RSC) invite members of the cast of each production to blog about their experiences through the rehearsal period. These blogs provide a fascinating insight into the actor's life and the making of theatre at one of the world's renowned classical companies. In this case study, writer and blogging consultant Kate Feld speaks to Danny Evans, RSC Content manager about how it all happens. This paper is an attempt to understand what a “social arts organisation” would look like, and to describe how it would behave. It covers what it means to be social; how the online experience differs from the traditional one, and using analytics to see who is talking to you and when. It also examines organisational change brought about by social media, and provides useful examples from around the web. Starting in April 2011, the Museum of Modern Art in New York asked its visitors to fill in notecards "I went to MoMA and ..." to describe their experiences of the museum. With the simple tools of cards, pencils and tape to stick the cards on to the museum's lobby wall, the project turned into the museum's longest-running campaign engaging with tens of thousands of MoMA visitors and appearing in print, digital and billboards. This case study sets out the process and outcomes of the campaign. Discover how a digital agency created a web-based augmented reality app to raise awareness of the film, The Hobbit, and boost ticket sales. Targeting Hobbit franchise fans, Tolkien fans, web and social media users, Play Nicely created an experience which let you become a dwarf from the Hobbit universe, and record and share video with friends. Over the last few years, the term SoLoMo, short for ‘Social Local Mobile’, is being used more and more. At its heart is an important concept that will become increasingly important to arts organisations. Having an effective social local mobile strategy simply means understanding the changing customer behaviours that have been brought about by smartphones and tailoring your approach accordingly. 'Social by Social' is a practical guide to using new technologies to create social impact. It makes accessible the tools you need to engage a community, offer services, scale up activities and sustain projects. You'll find various case studies, toolkits, definitions and ideas including; an explanation of ‘Social by Social’ and why you should care about it, ideas for how to approach projects and make the technology work for you and a set of propositions which underpin the most successful projects. Digital technologies – and the networks that they power – provide us with opportunities that we did not have even a few years ago. This collection of essays explore how we can best take advantage of the growing culture of online participation and new digital tools. You'll find a selection of essays which cover areas including education, entrepreneurship, healthcare, climate change, democracy. In each case the author conveys a sense of urgency about the need to re-imagine, re-invest, and re-invigorate our economy and society. Twelve case studies of arts engagement projects working with older people and families in London. The case studies share the learning from Audiences London's Family Advocates Programme, BAC's work with non-professional older artists, a skills exchange with Building Exploratory, an architecture centre and Cubitt, a gallery and studios regarding work with older audiences, Royal Philharmonic Orchestra & Tate Britain's project working with children to explore artwork through classical music among others. This research project focuses on the impact of digital culture on museum practice, and looks at how large international museums are embracing digital culture and using technology to improve their relationship with visitors. It focuses on museums in New York, and how the innovations they are leading can be built on by organisations elsewhere. It summarises key trends, including embracing contemporary culture, museums as places for experimentation by visitors, peer learning and collaboration, and the museum as a mission-lead institution. The research project was funded by the Winston Churchill Memorial Trust. The London Orchestral Marketing Consortium worked with developer Kodime to create an app, Student Pulse, which combined paperless ticketing, a loyalty scheme, social sharing functions and geolocation services. By looking at the motivations and attendance patterns of their target audience - students - the consortium worked out what was needed for an effective app. This case study describes the development process from both the marketers' and the developers' perspectives. Describes how a group of Danish art galleries joined forces to develop a shared mobile platform based on open content. The case study explores the collaborative process and the benefits of cross-institution collaboration when developing an in-gallery mobile tool designed to encourage greater engagement. It also looks at the adoption of open licences such as the Creative Commons model for helping making culture free, encouraging the public to share and reuse it in new ways. Gives guidance to decision makers in the cultural sector on increasing public digital access to cultural institutions. It encourages rapid deployment of digital techniques where they will do good, by engaging more people, raising the quality of experiences, and saving money. Includes sections on organisational strategy and leadership, organisational culture, the building blocks of digital projects and services, and 10 essential steps to take towards digital engagement with the arts. 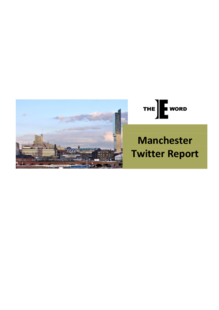 This guide shows how businesses use Twitter to market themselves and their work in Manchester, one of the most active Twitter communities in the country. With clear illustrations of what the data on usage actually means, this analysis can help you to make sure you're staying one step ahead of your competitors when using Twitter. A case study from London Symphony Orchestra looking at their work on social media channels such as Facebook, Twitter, YouTube and blogs, to build great word of mouth and successful online relationships. You may think that an email signature is just something to be thrown together at the bottom of your email; but this is probably the first time a customer has seen the branding of your business. Not enough due care and attention is paid towards the outward look of one of the most important communication tools in your arsenal. This guide show you how to create an email signature with impact, that will drive people towards your online presence and keep your core brand image running throughout every aspect of your organisation. This comprehensive report looks at the burgeoning Innovation Technologies (IvT) sector and how such systems as eScience, modelling, stimulation and visualisation technologies along with virtual and rapid prototyping are helping shape the face of innovation across all business models along with the impact of this on public institutions in relation to leadership and business strategies going forward. Arguing that IvT will have a big an impact as the industrialisation of nations, across all industries that we must be aware of the what these are, and how we can utilise them effectively. Gain an overview of the steps needed to develop a digital marketing strategy. This guide will show you how to position your digital strategy and develop a planning framework. This report provides digital resource managers across the East Midlands with: Evidence of the motivations, expectations, needs and current levels of satisfaction of online audiences. Insight into why users are using sites, how resources are meeting their needs, and how current and future resources could better meet needs. Findings are intended to help make the case for investment in online collections resources, and help inform improvements and new initiatives based on users’ needs. Recommendations addressed include use of web statistics, online surveying, user testing and evaluation. A detailed checklist is provided to aid embedding user needs in online collections resources. Is our web content serving our target markets? This paper asks: What does the content museums choose to display on the web reveal about their commitment to certain audiences? How do special audiences discern the differences between commitment and special-project pandering? Have we failed audiences by judging our best efforts according to low standards? It looks specifically at the target market of children, reviews the progress of a number of USA museums and makes recommendations for the future. This seminar provides insight into how and why people use digital technologies, with a particular focus on young people, how use may be changing with the advent of new tools such as social networking sites, podcasts and vodcasts and how we might develop our digital marketing in line with the way that people use interactive media. It concludes that online and social media resources allow arts organisations to embellish what they are doing in terms of communication. This document looks at how new technology and social media can be used in the development, production and marketing of the arts. How can digital media help innovation in artistic content and audience or visitor engagement? We see how online strategies are changing and how the use of Flickr, YouTube, Facebook, etc. enable us to engage with communities and considers how digital media might help us to innovate with regard to both artistic content and audience or visitor engagement. This one-page guide visually outlines the steps to take when creating a digital marketing plan. From SWOT analyses through to measuring success, each step of the framework recommends different actions to take. Ultimately once you've worked through the different stages you'll have the beginnings of a digital marketing plan in place. Useful for anyone creating a marketing or audience development strategy, this one-page guide visually outlines the steps to take during a digital marketing audit. Build a closer and stronger relationship with your audience with tips from this presentation by Vicki Allpress Hill. This document looks at how National Theatre Wales was founded in 2008 to create a theatre which is exciting and relevant to people throughout Wales and to be a theatre without walls. It provides an insight into the key considerations behind this development, including the fact that there are few national theatre institutions known for their digital offering and that cultural organisations should be about building creative communities, with a new approach to branding and identity that embraces ideas of community. This report looks at the convergence of three trends:  technological change  the way that people engage with culture  the policy aim of increasing democratic participation in culture, with particular regard to audiences described as ‘hard to reach’. The report discusses DCMS's project Culture Online and highlights some practical lessons learnt from its delivery. In this context it also considers the ever-evolving concept, function and potential of online culture, today and in the future in terms of policy development, technological change and developments in society. This new research aims to identify and evaluate how cultural tourists' needs and aspirations affect the way you digitise artistic content, and how adopting a demand led approach as opposed to one that is supply led can reap real rewards. With tips on keeping your digitised content manageable and how to evaluate your successes, this report looks at definitions, motivations and case studies that can help you to find the right path. Marketers are increasingly having to deliver campaigns with restricted budgets and fewer staff. In this case study, the author explains how their organisation recently combined their blog, YouTube videos, photos and podcasts in one place - their website. It presents a series of learning points and explains how this has been achieved with limited budgets and staff time. It's important that any social media campaign reflects the vision of your organisation, as well as fulfilling marketing goals and reaching your target market. This article outlines the practical steps that marketers can take in order to build a relevant and effective social media campaign. It presents a variety of possible social media solutions and practical case studies to demonstrate how organisations can make the most of the latest advances in new media. In the rapidly changing field of social media and social networks, it's important to keep up to date with how people are using these platforms and what is most relevant to each market. This article outlines how and why people use digital technologies, with a particular focus on young people. It demonstrates how marketers need to develop their digital marketing strategies in line with how interactive media is used. A wide range of tools including social networking sites, podcasts and vodcasts are discussed. Organisations are continually looking for innovative and creative ways to engage with new audiences. This case study explores how the National Theatre reached new audiences outside of London through its NT Live project by broadcasting a series of plays in UK and international cinemas. It discusses the impact the project had on raising brand profile, the challenges in terms of promotional communication and customer relationship management, the importance of senior management buy-in and finally the opportunities that it brought for developing richer online web content. Learn why and how audiences engage with culture online in this transcript from Digital Marketing Day 2010. The session includes key results from the Digital Audiences research commissioned by Arts Council England. An overview of how to engage appropriately with digital and social media, using the five Cs of Choice, Context, Control, Communication and Communities as guiding principals. Learn how to become part of your audience's online journey, not just a final destination, creating communications threads that will keep pulling customers back to you. Practical examples on how to make social and digital media work for you as effective communications tools, how to engage in new ways and measure your success. Find out how to integrate social and digital media use into your wider communications strategy, working out what works for you, what fits within your budget and staffing resources. Discover new ways to engage audiences and visitors online between visits, and how research can give insights into why people participate on social networks. This resource highlights the benefits that engaging with people online can offer to arts and cultural organisations. It examines four ways of approaching content: consumption, interaction, curation and creation, and explores effective types of online engagement that arts marketers can apply. DK is the founder of MediaSnackers, a term used to describe what young people were doing with media. This presentation looks at how digital technologies are changing the way the public experiences the arts, and therefore how arts marketers, audience development and programmers need to respond to this to gain the attention and loyalty of audiences – particularly young people. As part of the AMA’s New Media New Marketing day, digital marketing advisor Paul Smith explored the role of digital marketing in arts organisations including tried-and-tested techniques to help develop and refine digital marketing strategies. HE covered developing an e-marketing strategy, the importance of brand, trends affecting the market place, segmentation, partnerships, positioning, plus digital integration and tools. Google Analytics can help arts marketers when developing a digital strategy and a digital marketing plan for their organisation. Learn about all the different tools that art marketers can use to help maximise the use of Google Analytics which can improve their marketing campaigns, increase customer engagement and a customers website experience. Please note the presentation referred to in the resource can now be found here. Learn which social media techniques, sites and tools are appropriate for your organisation in this transcript of Susan Hallam's session at Digital Marketing Day 2009. This case study looks at how the National Theatre of Scotland have been making use of the moving image in their marketing. In this era of content-rich online worlds, of trailers, of live feeds and of downloads, they are responding to the need for filmed material of the organisation's work to be made available through multiple channels including YouTube. Provides a detailed look at the current trends in digital and social media available in 2010, with an overview of how the different elements can be used within a marketing campaign or communications strategy. This is followed by a case study which will give you an insight into their different uses within a mixed media campaign and how they can be applied to speak to different targets to deliver a holistic strategy that has engagement at its heart. This case study shares the most important decisions and fact-finding steps that National Museums Scotland took, in moving from an outdated, little-used website to one that unites all five of their (real) locations, is highly interactive and connects to social media presences and has rich, engaging content for a variety of audiences. A roundup of research into the use of handheld devices at museums and cultural venues across the world, with short case studies of some organisations’ experiences. The author also gives his top eight issues to pay attention to when creating and launching a handheld device operation, including apps, from guarding the quality of the visitor experience to defining objectives, managing expectations and building in sustainability of the product. 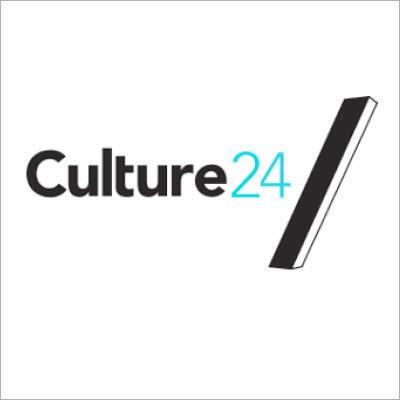 From realising what you want to achieve from your online and social media marketing activity, to setting measurable objectives and KPIs, to explaining some tools for how to measure them, this is a wise overview from an experienced consultant working in the commercial arena and with the Culture 24 digital measuring project. It will help cultural marketers build an holistic view of how their online and social media activity works and where it fits in their overall communications strategy. This article takes a look at the the blog as a key part of our online toolkit. Arts reporting, reviewing and previewing can now be found in thousands of places, written with knowledge by real enthusiasts. It has opened up debate about artforms such as Digital Arts and enables more alternative views of art to be aired, as in the influential www.we-make-money-not-art.com blog. Bloggers help to build interest and potential audiences by bringing their individual expertise and enthusiasm to a specific artform, whether it is contemporary classical music or street dance. A keynote speech describing MoMA’s progress with mobile technology, from audio guides to integrated and sophisticated apps on multiple platforms, and now QR codes. Arts marketers can learn from the experience of a leading museum, what audiences like, what they don’t like, and what has driven increased visitor engagement. Also what the benefits have been , for internal and external advocacy. The New York Public Library (NYPL) describes how they achieved success with social media to reach new audiences and public engagement. Starting out with Twitter and Facebook, then developing a social media strategy which entailed setting SMART objectives(based on KPI's), achieving internal 'buy-in', governance model ('hub and spoke'), finding the 'right' member of staff for each social media platform (e.g. tweeting, blogging, video) and building in mechanisms to track analytics. NYPL took part in social media week, developed a partnership with foursquare and used Socialflow to draw attention to the blogs being written by library staff. Three case studies explore how simply trying things out in the highly-networked online world can lead to exciting new marketing campaigns and more highly engaged audiences. The article looks at social media strategies from Park Circus Films, Malmö Opera and the National Trust's MyFarm project. Explore how your organisation's website can be put to work to help you achieve your audience development goals. Vicki Alpress Hill takes a look at developing a digital hub for your organisation and draws on examples from Sadler's Wells, Royal Opera House and Brooklyn Museum. Find out how ‘citizen journalism’ and social media are changing the shape of press coverage, and learn how to think like a blogger. Get the inside track on making social media tools such as Twitter work for you, while having fun and learning from mistakes. Arts marketers can apply social and emerging media ideas, channels and content to achieve a range of marketing objectives. This document explores the changing nature of digital marketing and looks at the way that marketing is being turned on its head, showing how social, local and mobile marketing is now essential to success in reaching and engaging audiences. How can cultural organisations manage their public relations in an 'always-on' society where the news is constantly being updated? This transcript of a panel discussion explores how to be one step ahead of the media, how to make sure your marketing campaigns are picked up by the press both in print and online, and how to ensure they are portrayed in a good light. Looks at how social networks are changing the way audiences engage with arts and culture. What do we have that makes our content more interesting? How can organisations promote the experience of a physical event or performance to online audiences? 30 easy-to-use ideas for using new media and developing a social media presence for arts and cultural organisations first published on the blog; The Museum for the Future. Ideas include adding photos to Flickr, videos to YouTube, buttons for followers on Twitter, installing Google Analytics, creating a presence for your organisation on Wikipedia, Foursquare and LinkedIn. Looks at the reasons why you might start an organisational blog; how to plan your blog's content; tips on the best writing style for composing posts; effective web design, and examples of arts blogs that work. A case study describing how Sadler's Wells used digital marketing, Facebook, YouTube, Google adWords and Twitter to boost online sales from 20% to 75% of total income. The dance venue used online ticketing and user centred design to make buying tickets easy and engaged with followers and supporters on social media to provide promotion for their events and performances. A transcript from a presentation at the 2010 AMA conference by Penguin Digital. The changing role of the marketer - push vs pull marketing.